"Liam is a dissertation coach at Dissertation Sage and aspires to be a fiction writer. If you have a question for him, tweet him at @dissosage." 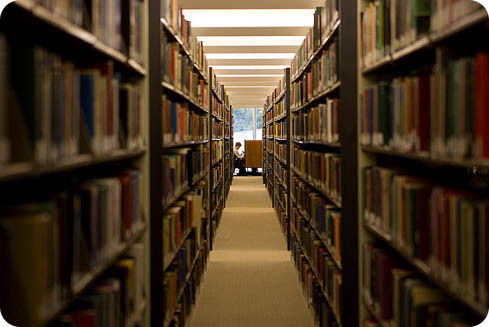 Being a research consultant, I get a lot of questions from students of all degree levels about how they can find relevant literature on the Internet and what kind of databases they should pursue. They will come to me and throw every name of a database they ever heard to sound smart perhaps. It gets stranger when I ask them to calm down and tell them all they need to learn is how to use Google Scholar. 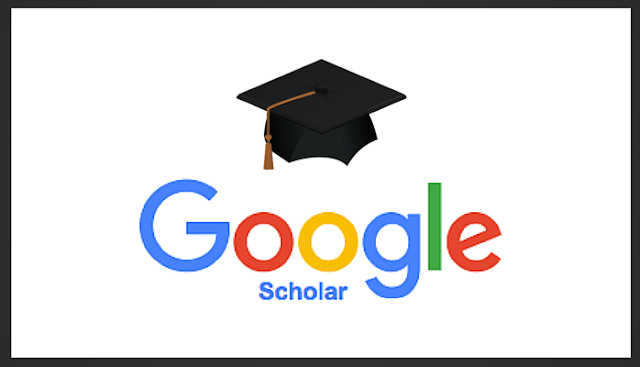 Google Scholar is another of Google’s well-known and globally popular services that searches academic literature for its users, who are by and large students working on one research project or another. When I tell the students approaching me they only need to master Google Scholar to finish their literature review, I tell them how they can and that’s what this blog is about. 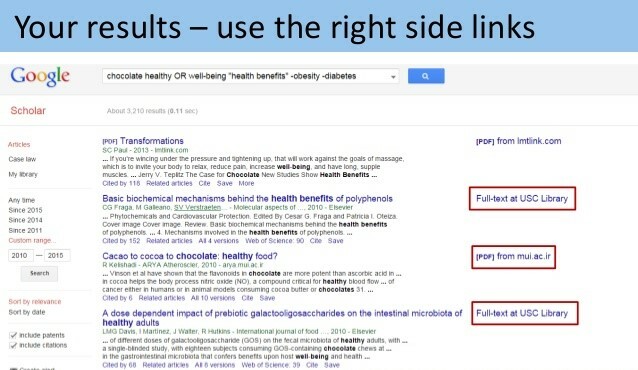 If you’re a student who wants to get the most out of their Google Scholar searches, read on. That’s what Google Scholar is, essentially. It’s a literature search tool that looks into all online databases and all their published works (books, journal articles, citations, patents, etc.) all together. When you go to Scholar, you’re going to all these databases at once, which makes life much easier than having to sift through hundreds of thousands of articles available on hundreds of peer-reviewed sources online. Scholar is like that directions console you walk over to in big shopping malls these days to see which store is where on the many storeys. That one place directs you to every other place around without a problem. Since Google is admittedly the Internet’s leading search engine around the world, Scholar uses it to the user’s advantage. Because search engines work based on keywords (word combinations you use to look for results), and Google has the biggest collection of keywords, you can look up what keywords other people in your region are using to get more relevant results in your Scholar searches. 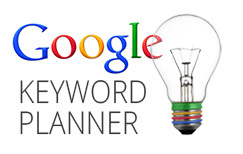 For this purpose, you can look up keywords in many online tools, such as the Keyword Planner on Google Adwords, for free. In the early years, Scholar would let users look up scholarly works and store their correct citations in tools like EndNote. A few years back, however, Google decided to make it even easier. 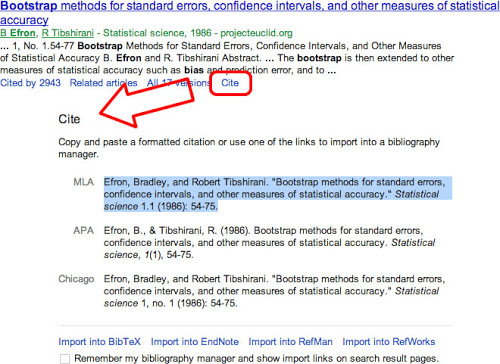 Now, every result you see on Scholar has a link below it that’s labelled “Cite.” When you click on it, a smaller window pops up with proper citation for the work in many of the established citation styles, including Harvard, APA, MLA, etc. Note: Many times the citation isn’t complete. In that case, use what you have to find the rest of the information for your reference list using Google Web search. This is one tip most students never learn on their own. While Scholar shows you a list of results on the left side of the page, many of which would be inaccessible (thanks to all those big shot databases who won’t give away knowledge without getting paid), you’ll note some results have another short link over to the right side. This link most of the times leads to another source where that work will be available for free. This is the most underrated perk of using Google Scholar. If you’re using the right keywords, you’ll find plenty of relevant scholarly works for your literature review even if you don’t have access to any of the major databases. Most of the other tips you’ll find on numerous other blog posts are mostly related to syntax and functions. To me, Scholar is about knowing what you want. It’s a great tool to find you exactly what you’re looking for. You just need to know how to talk to it. Absolutely correct. Google Scholar is the only search engine that is much helpful for people to conduct research in an effective way.